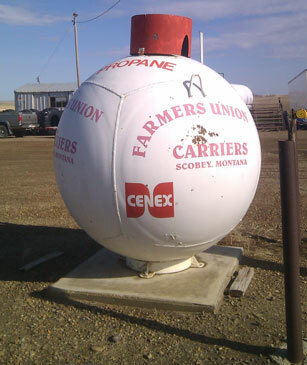 was founded in 1939 and has been successful in commercial propane delivery, installations and maintenance. Our quality products coupled with our level of commitment to our customer service has enabled us to become an industry leader for independent propane distribution in northeast Montana. We are proficient and efficient in safety and reliability as well as delivery and customer service. We also provide multi-tank and/or bulk installations, wholesale deliveries, forklift refueling services, grill filling, RV propane tank filling, and agricultural applications.